Are you fed up with living in pain? Then it's time to do something about it! Chiropractic never just treats symptoms; it corrects causes. Chiropractic care is focused on treating you as a whole person–every visit is customized for your individual and specific needs! 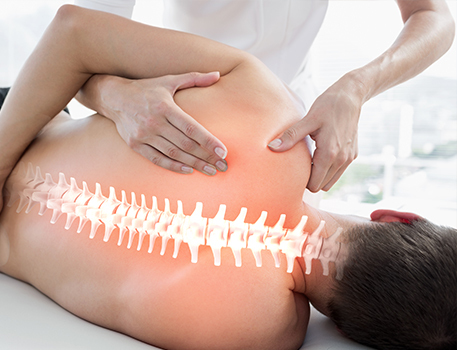 To learn more about Chiropractic and how it helps, click here! As with any doctor's visit, you'll start by finishing some new patient paperwork (print and fill it out at home to save some time on your first visit!). Upon meeting with the doctors, you'll discuss your concerns and expectations as well as have the chance to ask any questions you may have. In addition to discussing your health history, we will perform a physical examination, and take a few x-rays (as deemed necessary) to better determine what your current health state is. Once the examinations are complete, we'll take a look at the results of our conversation and the exams in a detailed report of findings. Together, we'll come up with a plan of action specific to you, and we will begin when you are completely satisfied and ready to move forward. See what others are saying about their experience at Progressive Chiropractic!